Last week Google held their press conference officially announcing the Nexus One and the opening of their online handset store, stealing some of the momentum from the Consumer Electronics Show that would begin a few days later. Since then, we’ve been able to piece together Google’s approach, how they plan to expand their offerings, and how it might change the way we buy mobile devices in the future. Through numerous interviews with Google executives, it’s become clear that Google is trying to reverse the process that consumers currently go through to get their devices. A majority of customers first choose their carrier, plan, and then device. Sometimes the device and plan go hand in hand when choosing data, but customers will generally choose their minutes and features before they’ve gotten their phone. Google wants consumers to start by choosing their device and then move to competing carrier and plans for the device they chose. Unlocked versions of their phones allow for an easier switch to and from carriers, a big problem in today’s market. They’ve already announced plans to include more and more devices to become available to their online store. 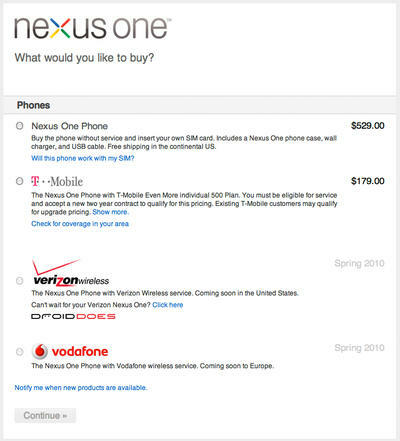 As Google continues to tightly collaborate with handset manufacturers as they’ve done with the Nexus One, those devices will be made available for purchase, and presumably unlocked within Google’s store. Their focus is still to avoid making the consumer sort through a heap of Android devices and offer several handsets are unique in their own way. 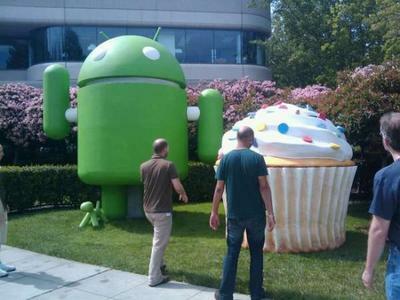 For each major software release of Android, Google wants to bring unique hardware to market that highlights its features. 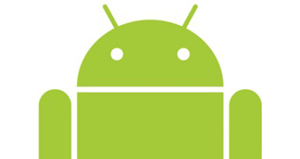 As more devices become available to their store, they hope to add additional carriers from around the world, akin to what’s currently available for the Nexus One. Eventually, Google will have a list of Android devices and a list of service plans from each carrier, and users will mix and match the device with their plan. This process will shift the power back to the consumer and we’ll certainly see competitive pricing as carriers battle for new customers. Now that Google has pulled back the curtain for their strategy, we’re much less likely to see repeated hysteria of what would certainly be called the next Google phone. Our mobile devices are headed in a direction towards computers and the purchasing process will follow. Google’s given us a push, but we’ve still got a long way to go.